The new year is right around the corner and we’ve been reflecting back on 2017. It’s hard to believe that so much happened in just 365 days! Here’s our list of the biggest milestones of 2017 for the Grand Haven area! 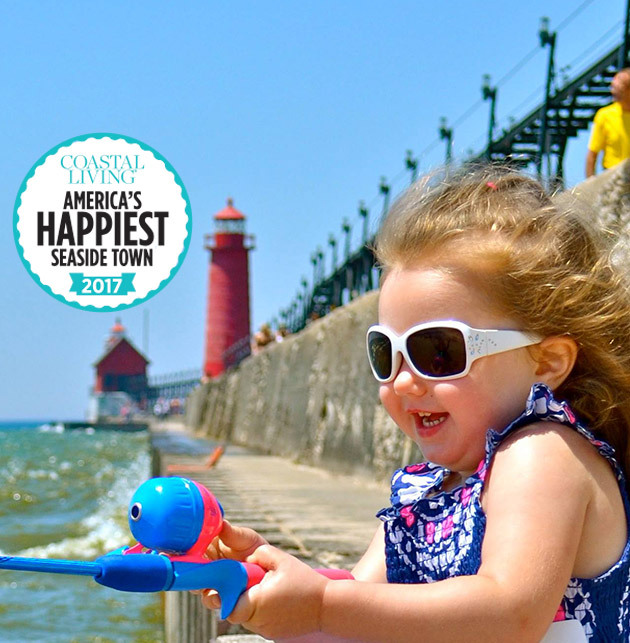 In January, Grand Haven was named Coastal Living’s Happiest Seaside Town in America for 2017! Yay!!! 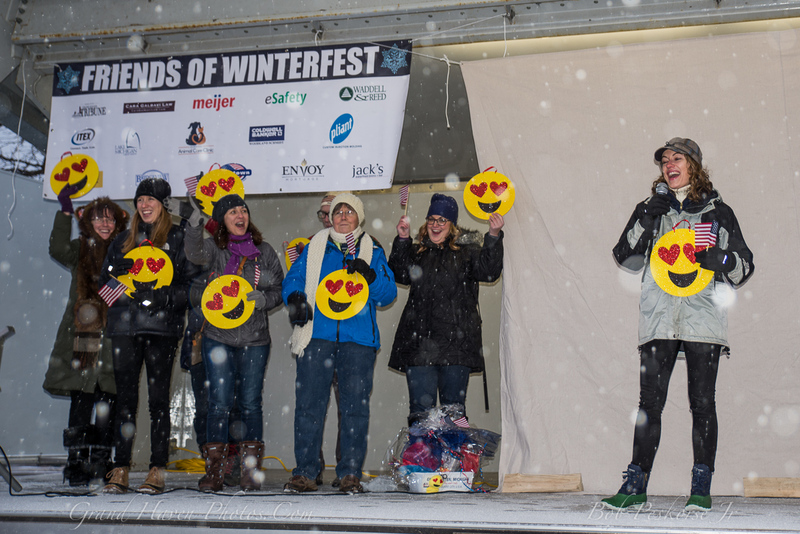 To help us celebrate, editors from Coastal Living flew into to town so they could join us for Winterfest and they had a blast – even with the snow and cold temps. 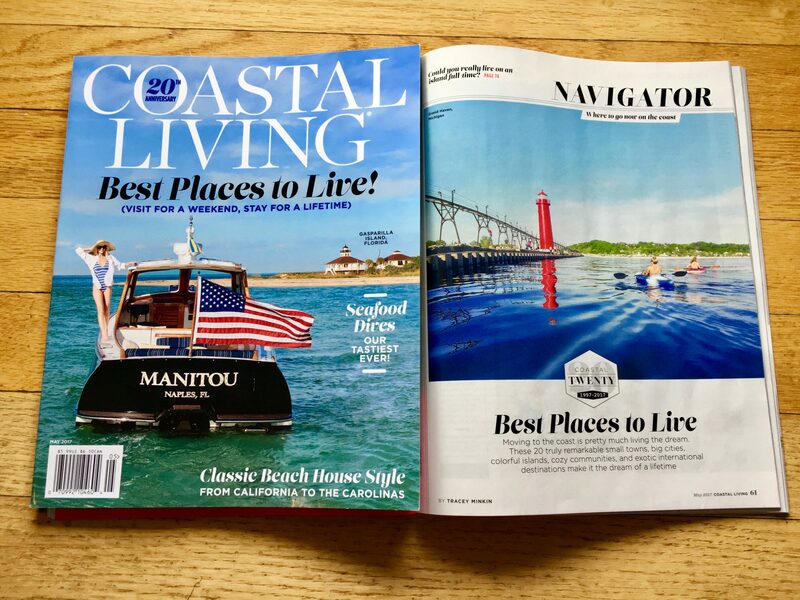 Grand Haven was even featured in the May 2017 20th Anniversary issue of Coastal Living – what a huge honor for our community! 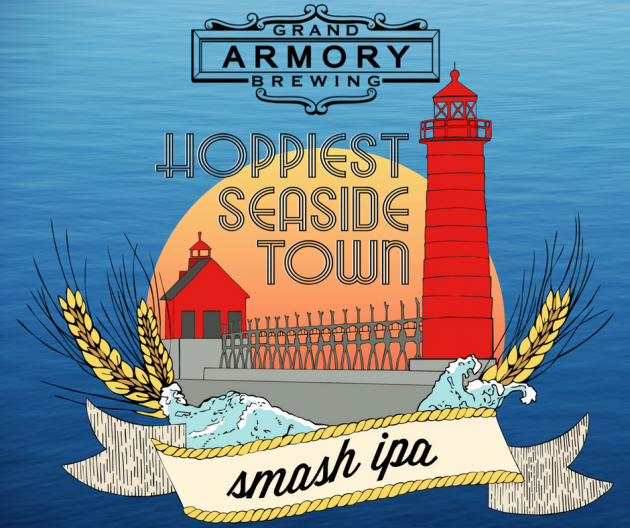 Our friends over at Grand Armory Brewing even collaborated with us on a special summer brew: Hoppiest Seaside Town Smash IPA. Not only were we featured in Coastal Living, but we were also featured on The Today Show in March! Grand Haven was named on of the top 5 places to retire by Condé Nast Traveler and they talked all about it with Kathy Lee & Craig Ferguson – so cool! This spring, resurfacing project began on the south pier. The catwalk was removed in August of 2016 to make way for the $2.5 million overhaul of the pier. With that, the $1 Million Save The Catwalk fundraising efforts began to reinforce and replace the beloved catwalk back on the pier once the resurfacing project was completed. The resurfacing project is planned to be finished in 2018 followed by the replacement of the catwalk. Sometimes weird (but fun) things happen in Grand Haven too! Downtown Grand Haven was visited by the Oscar Mayer Wienermobile in May, what a sight to see! While not really a milestone, we thought it was pretty cool. How often to you see a big hot dog driving around town??? Pure Michigan partnered with Vernors to showcase 5 of Michigan’s most iconic lighthouse on their cans. Naturally, Grand Haven’s famed lighthouses and catwalk were featured. When we posted this photo on our social channels, it quickly became one of our most popular social posts of 2017 – reaching well over 250,000 people! Michiganders like Vernors and lighthouses…a LOT. The Grand Haven Area had several new restaurants and businesses open this year, offering great selections for anyone who loves to eat and shop! The Paisley Pig, Bella Mack’s, Jean Marie’s and the Grand Haven Escape Room are just a few of the great newcomers to Grand Haven this year. Be sure to check them out the next time you are in the area! While on the hunt for the best fries in Michigan, John Gonzales & Amy Sherman from Mlive.com stopped in Grand Haven to try out fries from the Toasted Pickle, Paisley Pig, and Ray’s Drive In. How can we get that job?! The iconic lakeshore restaurant was sold to new owners and is currently undergoing renovations. Tony Noto, the owner of Grand Rapids restaurant Noto’s Old World Dining confirmed the sale this fall. Now, the Bil-Mar’s legacy will continue as Noto’s at the Bil-Mar with plans to reopen in the first half of 2018! Groundbreaking for the revitalization of Waterfront Stadium started this fall. The $3.2 million project will bring many updates to the stadium, including amphitheater-style seating that will seat up to 2,000. The upgrades will also include a multipurpose area that can be used for volleyball, dancing, fire pits, concession stands, a grass seating area and a seasonal ice rink. The new Lynne Sherwood Waterfront Stadium is planned to open around Memorial Day 2018. New water features debuted at the Musical Fountain’s last show of the season in September – Moody Blues Days of Future Past. Engineering students from Grand Valley University designed and constructed two new features – The Wave & The Helix. We will be seeing these features when the Musical Fountain starts back up again in May! In September, Ottawa County Parks & Recreation unveiled an amazing suspension bridge at Grand Ravines. The bridge is 275 feet long and 70 feet high, and is believed to be the longest pedestrian suspension bridge in Michigan and is fully accessible with paved paths leading to the bridge. Take some time to go for a hike and cross the bridge for an adventure! In 1990, the community came together to fundraise and build the Imagination Station park which is a family favorite in the Grand Haven area. With many repairs and years of wear, it was determined it is time to reimagine the Imagination Station. The Imagination Station committee has started the ‘Reimagine Project’ to create a new play space – Imagination Station 2.0. The committee looked to children in the community to help design their dream play-space. With the Imagination Station 2.0, accessibility for everyone will be the top priority. Fundraising efforts are underway including the sale of fence pickets, adorable coffee mugs, and even Grand Haven-Opoly! Plans are to start rebuilding the new park in fall of 2018. At the end of 2017, Ottawa Country Parks & Recreation announced the purchase of 353 acres of dune land along the Grand River in Ferrysburg. They are looking to develop parkland with swimming, hiking, biking and kayaking for those visiting the Grand Haven Area. With the inland lake the property has, it would make an ideal campground! One of our favorite weather phenomenons that occurs in the Grand Haven area is pancake ice. When the conditions are right in the winter, the cold temps and motion of the waves creates millions of balls of ice. Over time, these balls of ice move together to create circles of ice – aka pancake ice – that float near the shore and in the Grand River. The week after Christmas, we headed down to the State Park and found that pancake ice was starting to form in the Grand River. We braced the subzero wind chills to take a some footage and a Facebook Live video. After posting the video on our social channels, we were contacted by CBS News and The Weather Channel who wanted to share our video. The video aired on the CBS Evening News, CBS This Morning, The Weather Channel and more. This was the second time this year that little Grand Haven made National News! With the renovation of the pier, the beloved catwalk was taken down and needed to be restored. In December of 2017, it was announced the $1 million dollar project to save the catwalk was officially funded with the help of community organizations, residents, and visitors!!! Both the pier and catwalk restoration projects are still underway, so stay updated by checking out our website. Donations for the Save The Catwalk fund are still being accepted to help build a maintenance fund at the Grand Haven Area Community Foundation so that it will taken care of for generations to come. What do you think was the biggest milestone for the Grand Haven area in 2017? Let us know in the comments below!